At the Presidents’ Quarters Inn, our guests often ask us about the history of Savannah. There is honestly so much history in Savannah, it’s hard to tell someone about it all in one sitting. We could write days on the historical and cultural influences that have shaped our city. Nevertheless, we wanted to give you a brief history lesson. A primer if you will. We hope you enjoy! Savannah has a rich history to say the least. 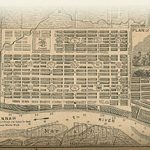 Officially, Savannah’s recorded history is said to have started in 1733, which is when General James Oglethorpe and his120 passengers landed along the Savannah River. Oglethorpe decided to name the 13th and final American colony “Georgia” after King George II of England. 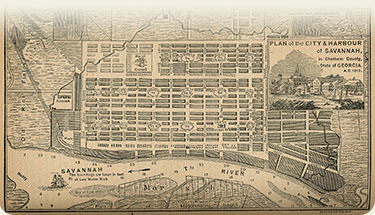 Savannah would become the first city of Georgia.